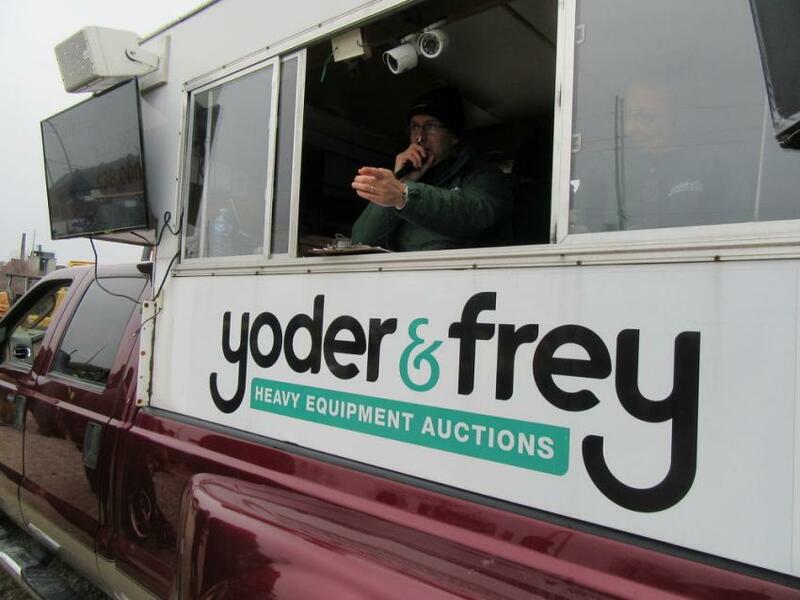 Yoder & Frey held an auction in Ashland, Ohio, Dec. 6, the fourth this year at the popular auction site. 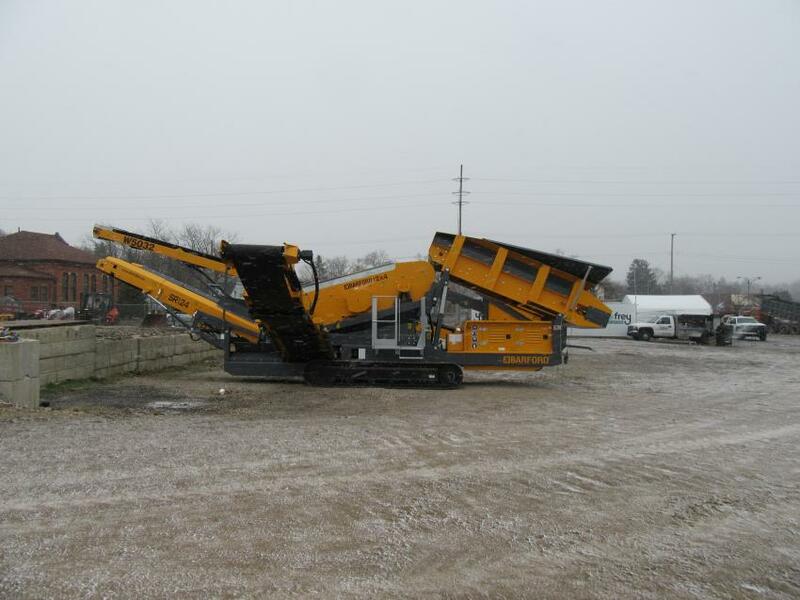 Equipment up for bid included a variety of aggregates, construction, farming and forestry machines and equipment, as well as an extensive selection of used and late model excavators from the industry's leading manufacturers. Despite the cold weather that brought in a dusting of snow, the auction drew an enthusiastic crowd of onsite bidders while also attracting significant online bidding activity. Yoder & Frey auctioneer Matt Hostetter calls out another winning bid. 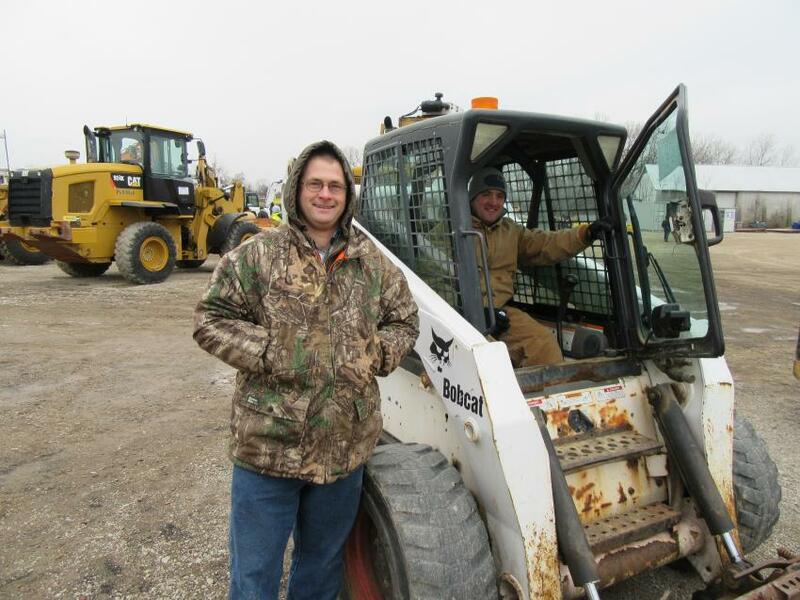 Eddie Burkholder (L) of Burkholder Transport and Ryan Zimmerman of RZ Excavating go over a Bobcat S250 skid steer loader. 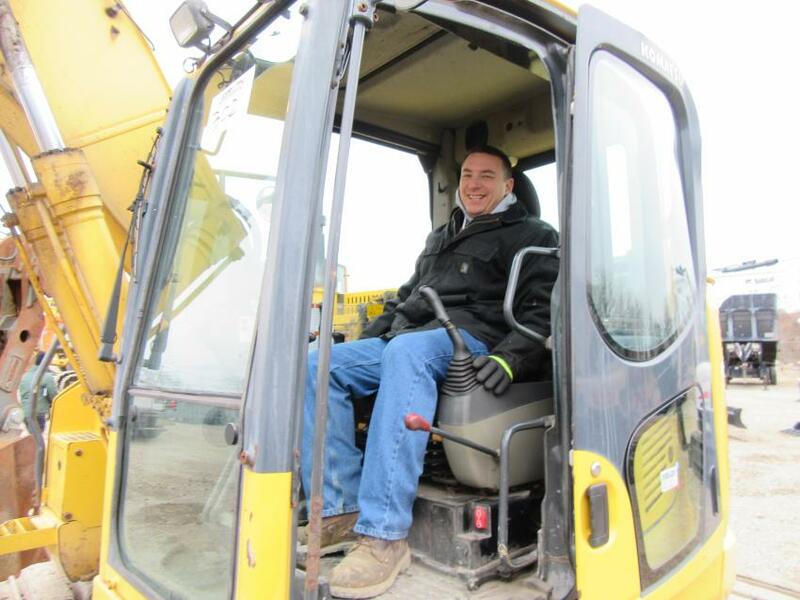 Joe Kowosky of Mid Ohio Labor considers a bid on a Komatsu PC138US excavator. 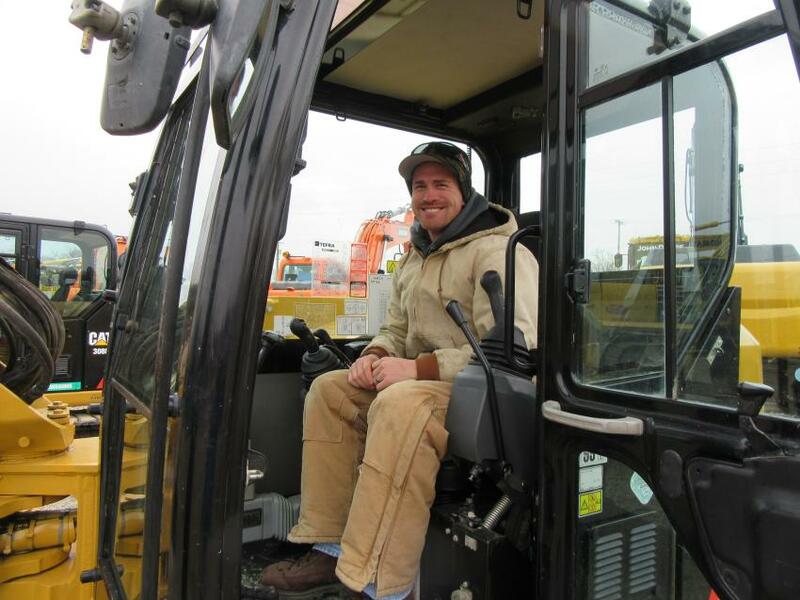 Caleb Tier of BJ Excavating found shelter from the cold in a Cat 308E excavator, one of four of this model up for bid. 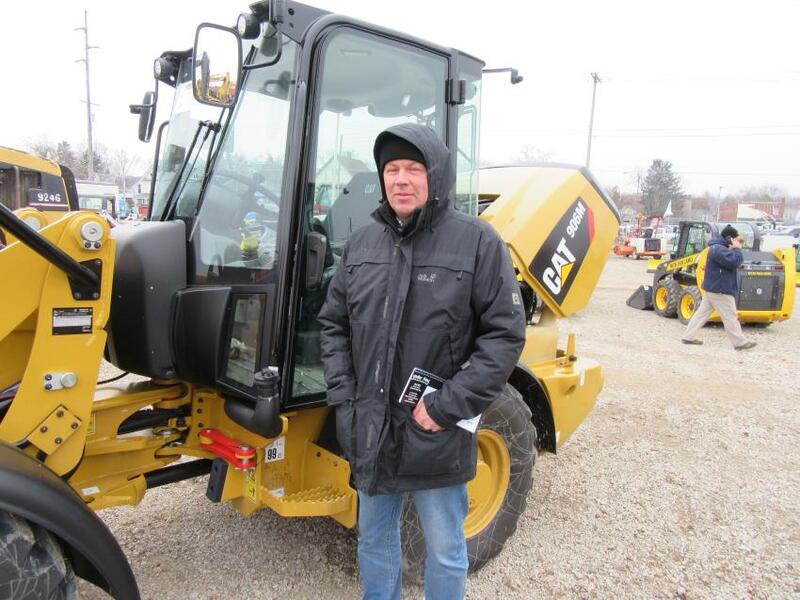 Christoph Ringen of Ringen Farm Service, based in Germany, included the Yoder & Frey Ashland auction in his tour of America in search of equipment to send back to Europe. Yoder & Frey’s Peter Clark (L) and Kevin Teets were on hand to ensure that everything ran smoothly. 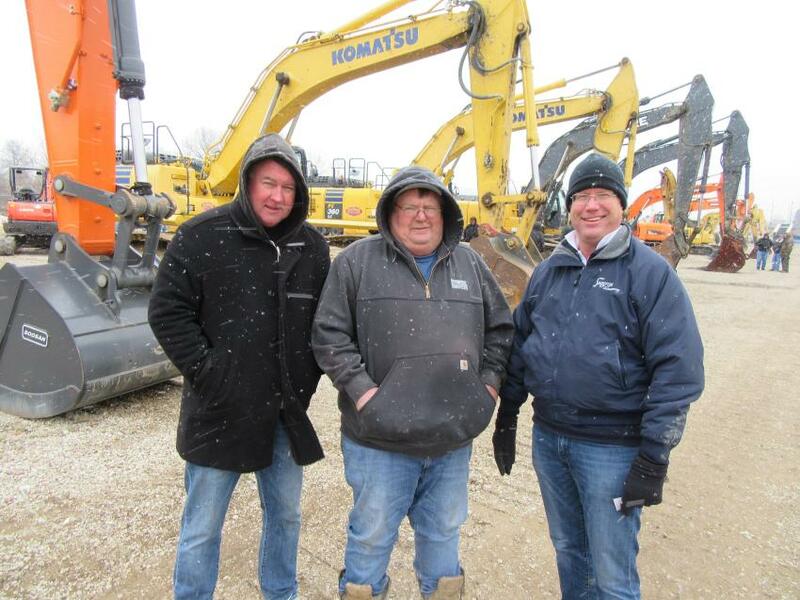 (L-R): Brian Kura, Lenn Adams and Jim Weber of Ohio Mulch braved the cold in search of equipment bargains. 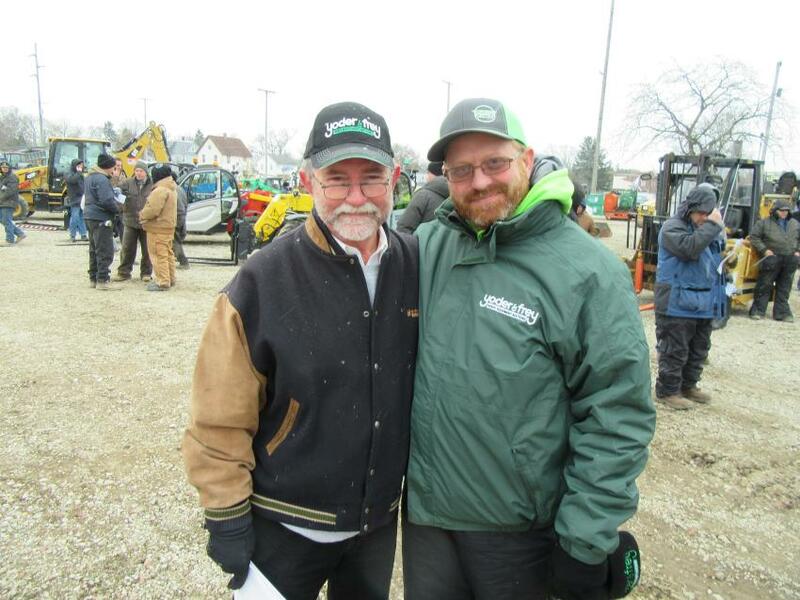 Yoder & Frey’s Ashland, Ohio, auction yard is also the location of Barford Equipment dealers A-Equip Pro LLC.